Coincidentally, it was Restaurant Week in New York when I was there. Instead of having to make reservations online to eat from the restarant week menu like what happens in Singapore, as long as you secure a seat in the restaurant, you are free to eat from the menu. All lunch menus are $24.07 and dinner menus $35.00. 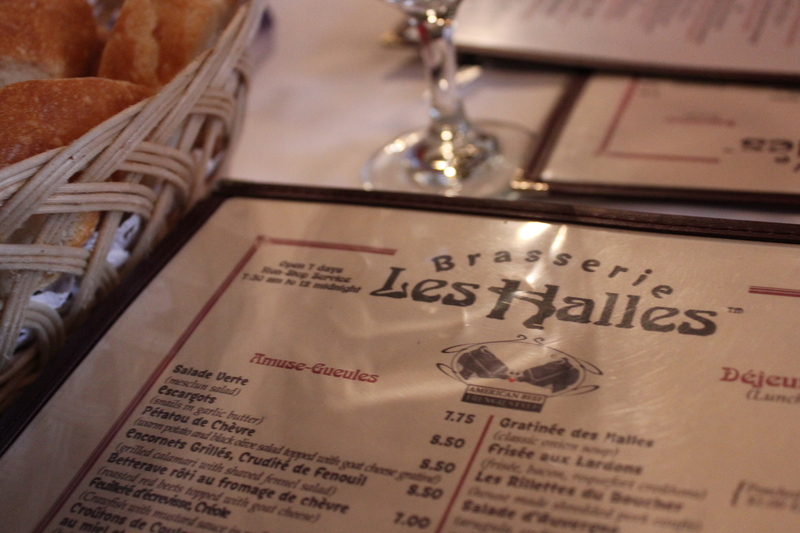 Fans of celebrity chef Anthony Bourdain will probably be familiar with this simple Parisian Brasserie, which is non other than his home-base in New York City. The restaurant is classy but yet exudes a casual vibe, perfect for people who appreciate the food served during fine dining, but dislike the tense atmosphere in such places. I opted for the set lunch while mum and dad chose ala carte items. 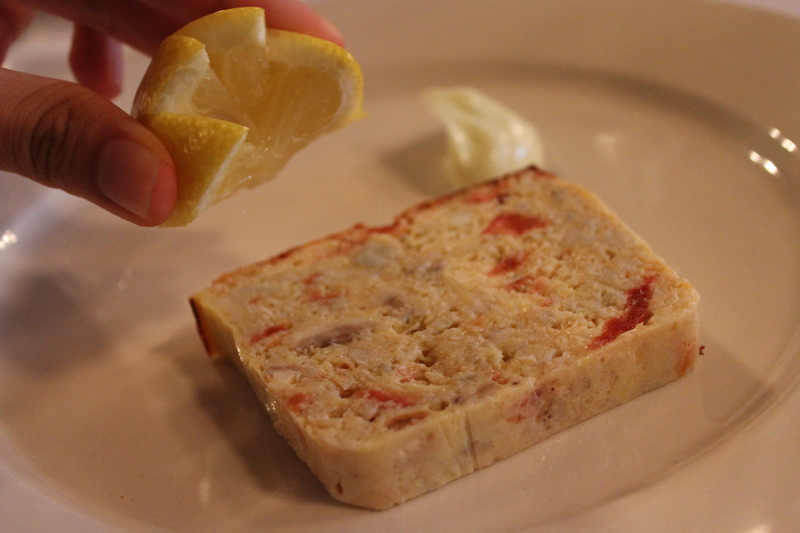 A simple appetizer of terrine of Monkfish and crabmeat, panseared (or baked?) served with accompanying mayonnaise. Ingredients were fresh, with all the juices all compressed into one little block. It went well with the otherwise boring and cold baguette. I call this the Yin and Yang dish. 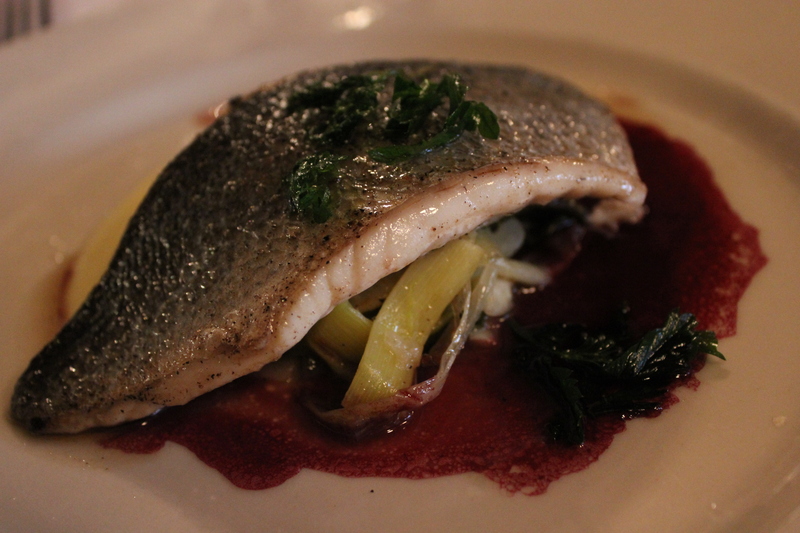 A Dorado Filet pan-seared with red wine and white wine sauce resting on a bed of braised leeks and Fennel. It may not seem apparent in the photo, but the white wine sauce is at the back. There was a nice balance of creaminess and sweet notes from the white wine sauce, while the red wine was on the flipside of the coin, slightly tangy and very refreshing. 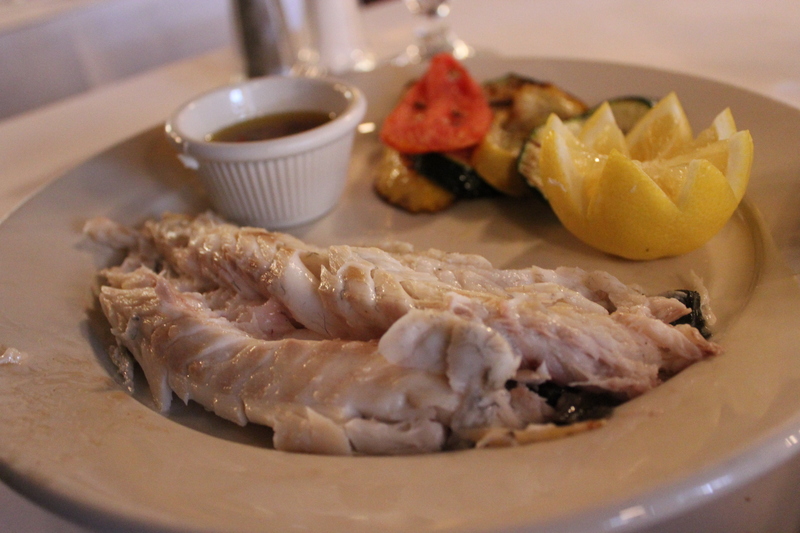 The fish was a tad dry on certain areas, though it’s a commendable effort considering it was pan-seared. What I enjoyed most were the braised leeks, so yummy and umami- it was probably braised in some sort of chicken stock. My fish was okay, but dad’s fish was even better. I guess quality correlates with the price! I can’t remember what fish this is but dad requested for it to be roasted au naturale. Our waitress carefully wheeled it to our table. After deboning, it was presented to us though it looked a little messy I must say 😛 This fish was fantastic, juicy and sweet flesh and it’s not because it’s a fatty fish like salmon or cod- now this is what fish is all about. My filet obviously paled in comparison! Mum requested for a pork chop to be done medium rare, after being assured that the insides will be pink but there will be no part that is raw. Indeed, the pork chop met our expectations, being tender and juicy with no sign of rawness. Mum especially loved the cloves of garlic sitting atop each piece, which according to her were melt-in- the- mouth and very creamy on the insides. My order for desset was supposed to be a frozen frangelico ( hazelnut liquer from italy) sabayon but I’m pretty positive that this was not what I got. It tasted more like cream cheese icecream, which was the alternative on the menu. Oddly, I was not told of the change and just in case I made a mistake, I checked the ingredients for the alternative dessert which was cream cheese ice cream with warm strawberry compote. My dish came with the expected saute cherries and almond praline so they obviously did not make a mistake in my order. Does frozen sabayon taste like cream cheese? I don’t think so. But having said that the ice cream was acceptable so I didn’t voice out my misgivings. Nothing was going to ruin my last lunch in new york! 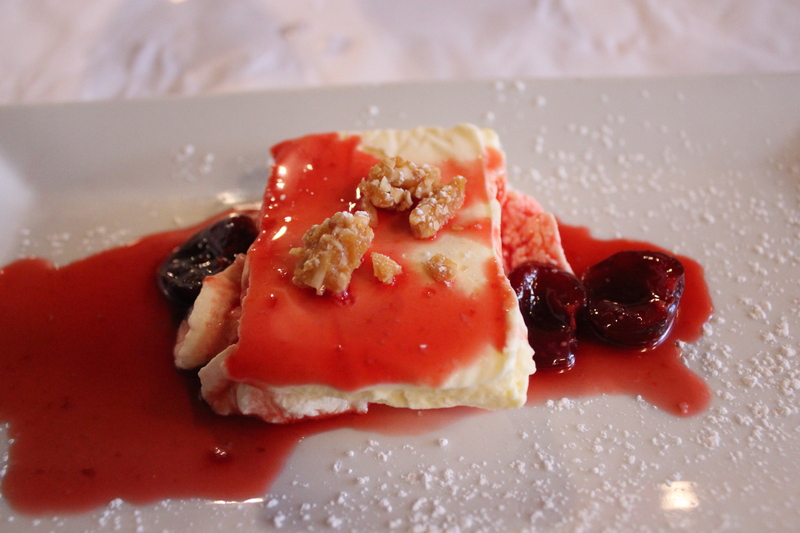 We also had from the ala-carte menu Crepe Le Halles. I really wanted to try the Crepe Suzette but unfortunately items that need to be flambeed are only available during dinner time. 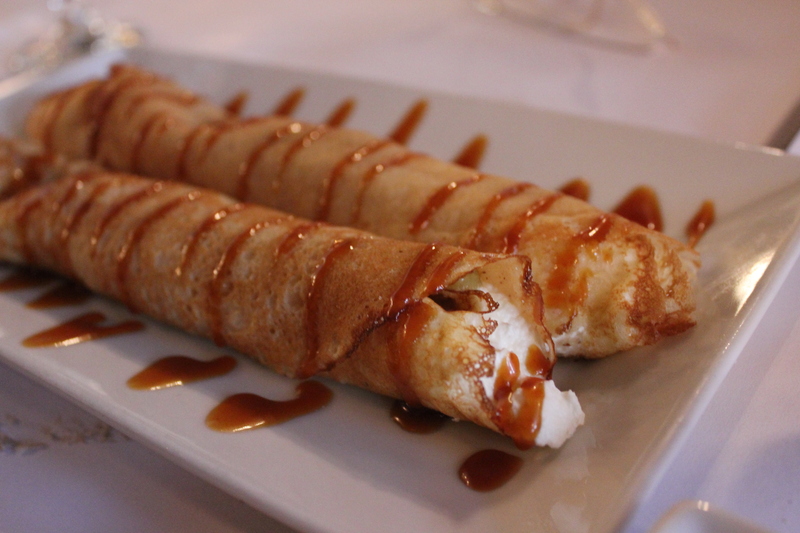 The paper-thin crepes were wrapped around chatilly creme and rum soaked raisins. As much as I dislike cream, this chatilly creme was so good I gladly ate it without removing a slightest bit! Definitely made of the very best french cream and the raisins that were liberally sprinked inside were so plump and bursting with alcohol. Every bite was very light and refreshing making it an extremely light dessert to stomach. However, I like my cream less airy and more silky so I found the cream slightly overwhipped, but then again, it’s a personal preference. 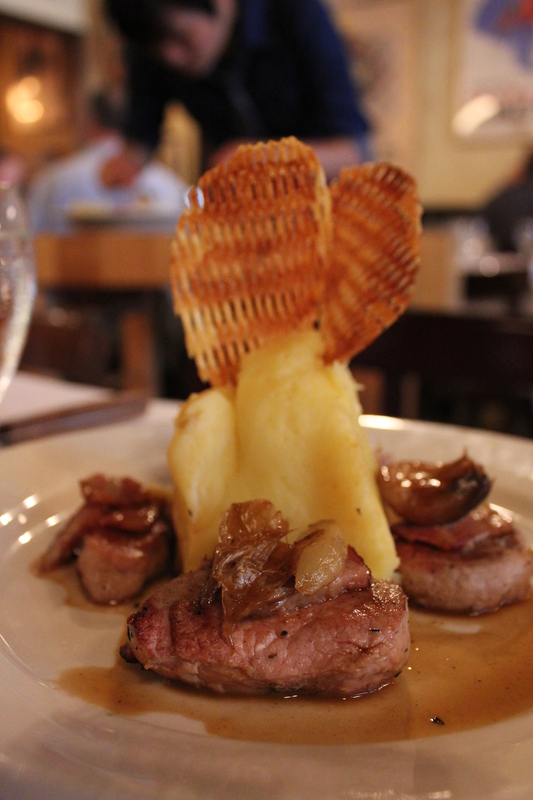 Food here is simplistic french fare, nothing complicated. 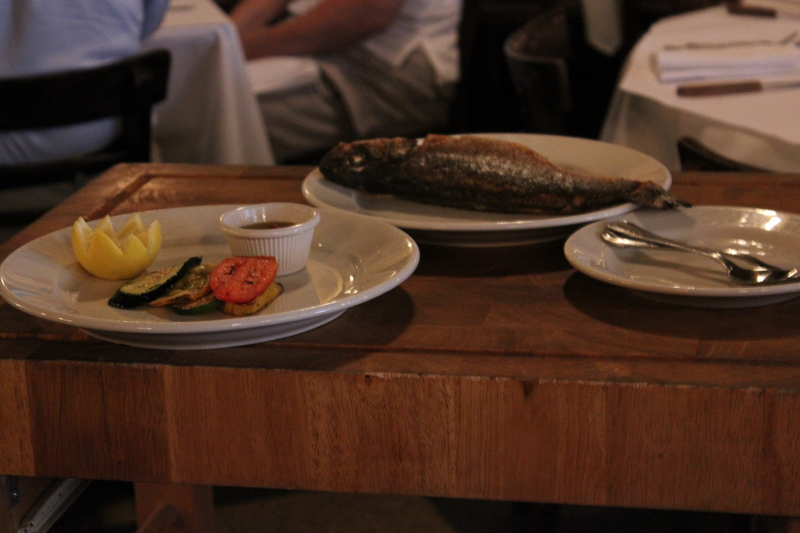 What shines are the fresh ingredients used which is especially difficult to find in cities like new york. If I ever come back to new york, I’ll be here to try the crepe suzette. I bet it’ll be awesome!